With a son among the top skateboarders in the world, entrepreneur André Barros, 47, a significant player in the Brazilian skateboarding scene, says that the sport is going through an unprecedented moment in Brazil. 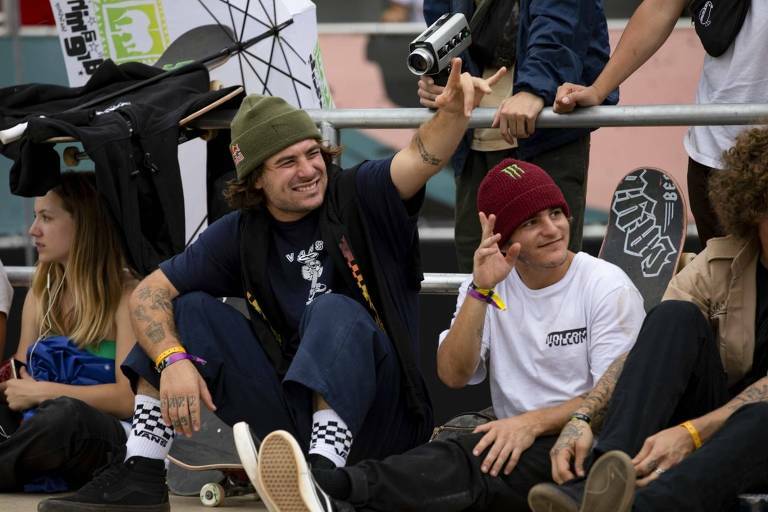 As skateboarding enters the roster of Olympic sports during the 2020 Summer Games in Tokyo, Barros was able to fulfill a lifelong dream: to create a skateboarding league in Brazil. He is the marketing director of Skate Total Urbe championship (also known as its acronym STU). In 2019, the tournament will have nine rounds. But Barros' ties with skateboarding run deeper. His son, Pedro Barros, 23, is one of Brazilian skateboarding's biggest names, and Barros himself was a part of Florianópolis skaters that strengthened the sport in Brazil in the early 2000s. If the acceptance into the Olympic Games is a milestone for the sport, the entrepreneur is also concerned with the possibility of skateboarding losing its countercultural aspect. The sport needed to conform to the World Anti-Doping Agency's (Wada) rules that forbid marijuana use only during competitions, with a limit of 180 ng/ml. Pedro Barros tested positive for a by-product of marijuana during a Santa Catarina tournament in early 2018. He wasn't suspended and still awaits trial. His father says athletes should be allowed to use pot. "Skaters are the cleanest Olympic athletes of all. We don't have such a competitive streak; we don't even consider taking hormones," he said. Wada says relaxation and less pain as possible competitive advantages of marijuana says. The agency also considers the drug as a health hazard, and it says pot violates sports' moral standards since it's illegal in many countries. Share this "Neymar's Father Meets with Economy Minister, Bolsonaro, and the Secretary of Revenue"
Share this "Stadium that Hosted Opening of World Cup Showing Defects on Exterior"
Share this "Fitness Confederation Associates Schwarzenegger's Event with Doping"
Share this "Former Soccer Champion And Pelé's Teammate Coutinho Dies At 75"
Share this "Brazil's Top Skater's Father Advocates For Marijuana Use Among Athletes"